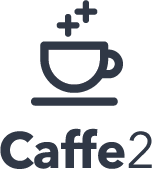 Caffe2 is a deep learning framework enabling simple and flexible deep learning. Built on the original Caffe, Caffe2 is designed with expression, speed, and modularity in mind, allowing for a more flexible way to organize computation. Users of NVIDIA DGX-1 AI supercomputer can download DGX optimized Caffe2 containers via NVIDIA DGX-1 Container Registry. To make it easy to install Caffe2 from source, locally on your desktop or datacenter, follow the step-by-step instruction in the Caffe2 GPU-Ready App Quick Start Guide. GPU-Ready Apps guides provides installation recipes that helps you get up and running fast on GPUs. Visit Caffe2 installation page to learn more about for other ways to get Caffe2, including pre-compiled binaries, docker images. Caffe2 features built-in distributed training using the NCCL multi-GPU communications library. This means that you can very quickly scale up or down without refactoring your design. Caffe2 delivers near-linear scaling of deep learning training achieving up to 7.7x speed up with 8 GPUs, compared to a single GPU training.